Ceiling Medallion. 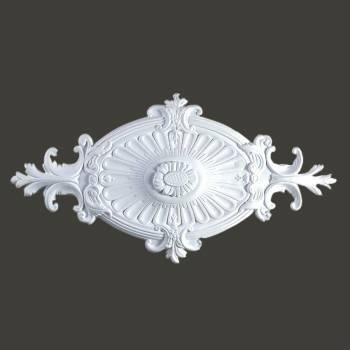 Made of high density urethane foam, this medallion is more durable than wood or plaster. Primed white and ready to finish. It measures 12 inch high x 24 inch wide.